A couple of weeks ago, LeBron James proclaimed himself the greatest basketball player of all time. He based this absurd claim on winning the 2016 National Basketball Association (NBA) championship, “That one right there made me the greatest player of all time” James said in an ESPN interview. The world of talk radio and sports on TV immediately lost their collective minds. The problem is they lost their minds for the wrong reason. They were right about one thing, LeBron is NOT the GOAT. But the belief that Michael Jordan is the GOAT is just as flawed. The idea that Jordan is the best is part of this belief that everyone in Bristol, Connecticut and the younger generation has about sports. Hey ESPN, you may have started in 1979, but sports did NOT!! Believe it or not, there were sports for many years before George Grande did the very first SportsCenter. About a year ago, my colleague Dr. Vince Ramsey, one of the smartest people I know, was talking to a much younger doctoral teaching assistant about basketball. As I walked by, Dr. Ramsey asked, “Dr. 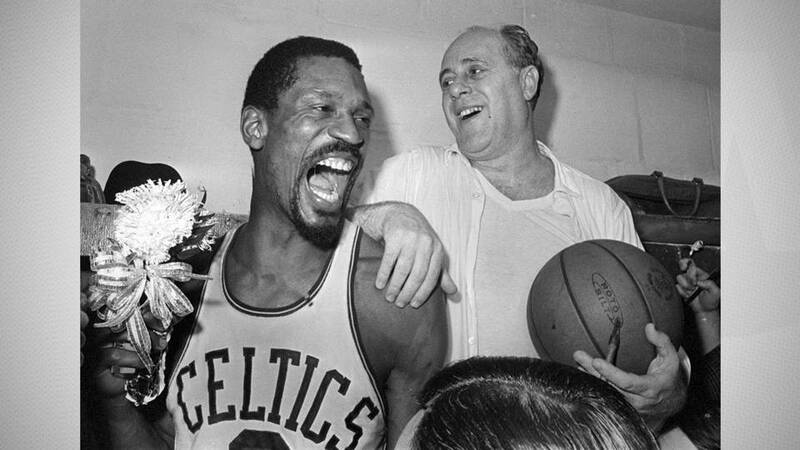 Butler, who is the greatest basketball player of all time?” Without hesitation, I gave the only answer that makes any sense at all, “Bill Russell.” Dr. Ramsey immediately concurred – I told you he was incredibly smart. Bill Russell was, is, and will always be the GOAT!! Two California state championships in high school, two national championships at the University of San Francisco (not exactly a basketball powerhouse), and an Olympic Gold Medal at Melbourne in 1956, winning by an average of 53 points per game, form the greatest amateur record of any man who ever played basketball. Then Red Auerbach took the St. Louis Hawks to the cleaners on one of the most lopsided trades ever and the rest is history. I have heard many people on ESPN make the statement that Kobe is not as good as Michael, because he only has five titles to Michael’s six. If Kobe is not as good as Michael because he has one less title, how in the world can anyone justify someone with six titles being better than someone with 11? Last time I checked, six is much less than 11. That’s right 11 NBA titles in 13 years! But Michael won three in a row twice, the pundits will tell you; Russell’s Celtics won EIGHT in a row from 1959 – 1966. For good measure, he even won his last two, in 1968 abd 1969, as a player-coach. LeBron is great, Kobe was great, and Michael was great. Throw in Jerry West, Oscar Robertson, Wilt Chamberlain, Magic Johnson, Larry Bird, and a few others and you have an awesome list of the greatest basketball players of all time. But, by definition, there can only be one GOAT and when we are talking about basketball, that is clearly Bill Russell!! Stephen L. Butler, Ed.D. is the Director of the Language Training Detachment at the USAF Special Operations School at Hurlburt Field, Fla., and a member of the United States Sports Academy’s non-resident faculty.